This is something I have been wanting to try. I will have to research a kit. My husband has sauerkraut going right now. I got him a fancy fermenting pot for his birthday in August. It's helpful. I hope this comment doesn't double up. It said, "Resolving Host" for a bit. Whatever that means. Ha! I have been wanting to try fermenting as well! as a kid we put the kraut on top of mashed taters. I make it pretty regular, used to make a huge crock of it myself. my uncle was just talking about this. I don't know any family or friends that have tried doing this. I may have to check it out. I love saurkraut, especially on a good hot dog, but have never given a thought to making it myself. I have never heard of this! It does look easy though. How WAS the sauerkraut? Better than store bought? And I would imagine a lot healthier. A FUN gift! Interesting. I'm not familiar with fermenting. We eat cabbage all the time, we love it! I didn't know that about sauerkraut. And I didn't know you could get a fermenting kit. See how much I learn from you? 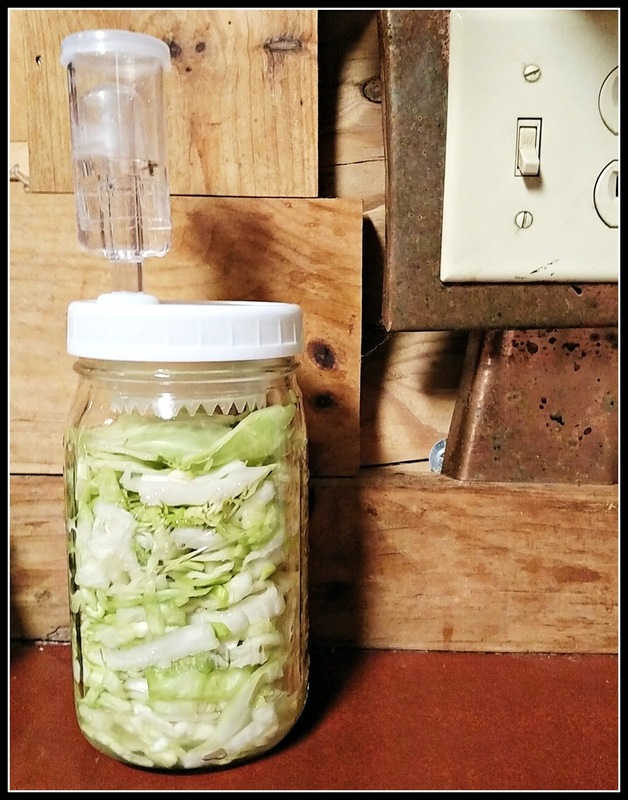 :-) Why are fermented foods good for you? When you get too many turnips, grate them and do the same as with sauerkraut only the name for fermented turnips is sauerruben, and it may be where the ruben sandwich came from as it works really well on that sandwich. The flavor is similar to sauerkraut only it has a faint horseradish like taste. Well, I look forward to hearing about what else you are going to ferment. I will have to live vicariously through you. To jest ciekawe. Nigdy nie słyszałem o zestawie fermentującym. sounds great yet new thing to me . best wishes for the week ahead friend! Sure beats burying a crock in the back yard! How come you changed your blog address? I love Korean Kimchi. Kymber makes it at her house. I will ask her to let you have her recipe. Don't spell Kimchi in your house. If you do, the stink is appalling and I guess you will have to burn the house down and build a new one. So cool! You're really exposing your boys to lots of "neat" things! Good luck in your sauerkraut making; it sounds like the digestion benefits, along with it being a "cool" thing to do, makes it a win-win!